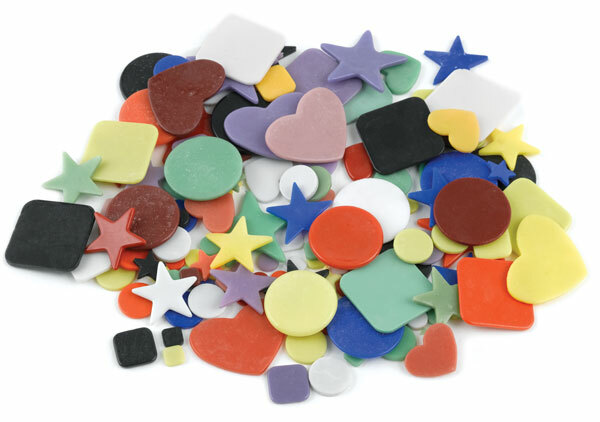 Glass pieces in assorted shapes and colors are used for designing on glass. All are COE 90 compatible. The 4 oz (113 g) package contains approximately 100 pieces, each ¼" to 1" (6 mm to 25 mm) in size.